On my birthday, I received 3 lovely videos from Cécile and Jos and I want to share them with you all. First video about Sydney, who is going to move to Dresden. 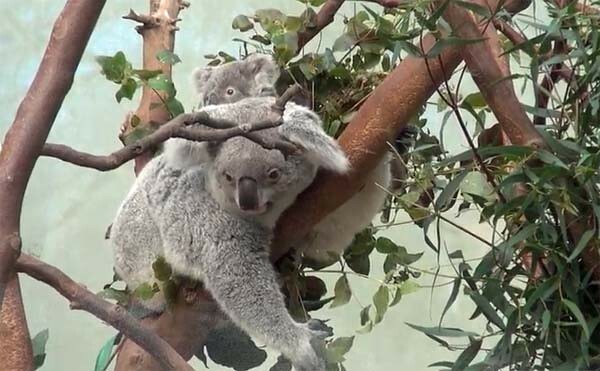 She is now about 1 year old and the first koala born in Zoo Antwerp. As you can see, Guwara is a very experienced mother and caring very well for her little girl (which means that at least she does not drop her). And Sydney is making sure that she is also getting the best part of the food!!! 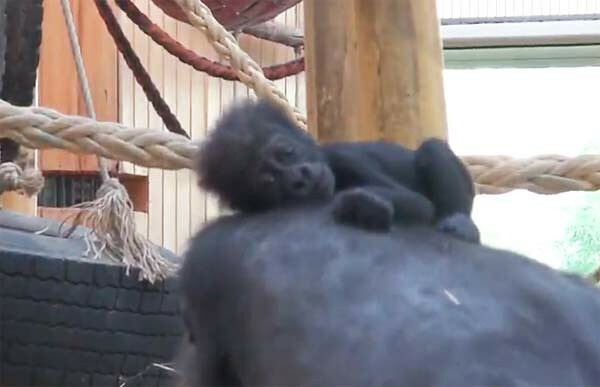 Second video about Tin-Tookie and mother Alinga (maybe you will remember that Alinga, against all odds and expectations, was pregnant again in the same year that she gave birth to Sassafras in Zoo Planckendael. Alinga is famous for dropping her babies. 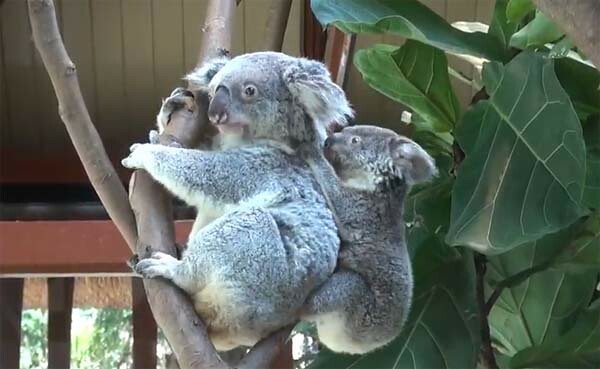 And as you can see, Tin-Tookie already loves the eucalyptus. And while eating, you can see baby doing “poopie”. Na ja, what comes in, must go out again, one way or another. 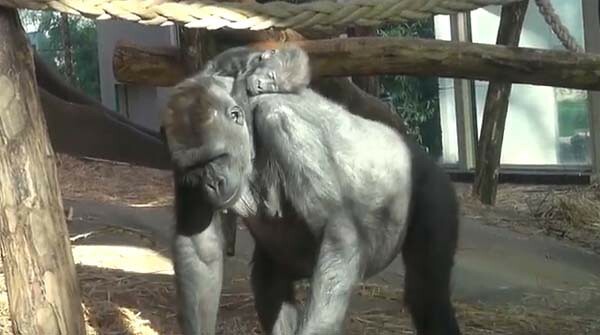 Third video: I think I may call this “Zoo Antwerp’s Pride”: the gorilla family with little baby girl Thandie. And she is CUTE!!! 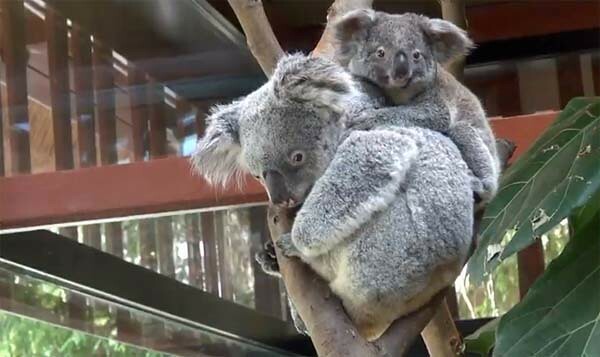 In the video, you can see that mother is still carrying her from here to there. But at this moment, she is making her first attempts to walk (on very waggling feet of course). Hope you will like it as much as I did. Dear Cécile and Jos, thank you so much for this lovely birthday surprise. Being able to visit two families of such rare and precious animals is indeed a great pleasure. This team effort of words and pictures. How wonderful to meet the koalas in Planckendael again! I wish Sydney a happy life in Dresden and hope Guwara won’t miss her baby too much. Thandie is, of course, cuter than cute and I’m sure she’s loved by the whole ‘clan’ – and by all the visitors. Thank you so much for the lovely videos! Thank you for delivering this article with the suitable text! Again you had a fantastic co-operation with Cécile and Jos. The complete titel should be: Spring news from Zoos Antwerp & Planckendael. 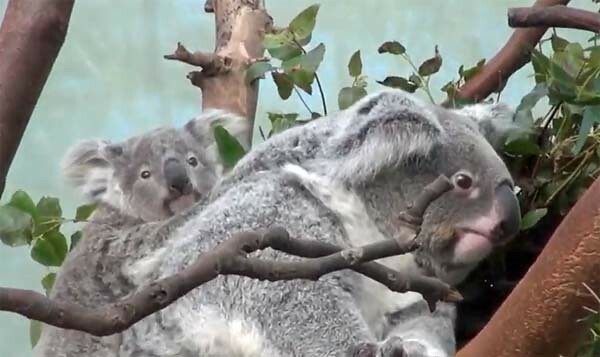 die Fotos und Videos der Koala- und des Gorillababys sind allerliebst. ihren kletternden und springenden Müttern nicht herunter zu fallen. Das Gorillakind schläft sogar fest mit Klammergriff im Nacken der Mutter ein. die Gorillamutter ihr Baby wie Menschen das auch machen – so niedlich. und alles Gute für Sydney in Dresden! Danke für die interessanten Videos. wünsche ihnen gutes Aufwachsen ! Thank you for showing us the second video of the gorilla baby. I inserted it in the article. Dear Patricia, Cecile and Jos! Thank you for these cute impressions from the zoos in Antwerpen and Planckendael. That was a nice birthday gift! Good luck for Sydney in Dresden. 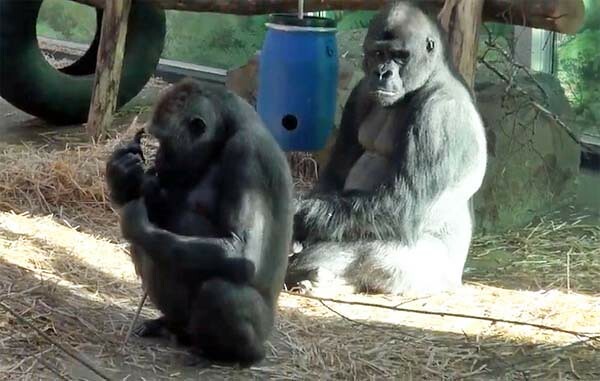 The pics and videos of the gorilla mother with her little one are heartwarming. Gorillababys are so charming. Since Sango in the Berlin Zoo seems to do a “good job” I´m quite hopeful to see little gorillas in the foreseeable future too. Unbedingt den Link unter Nr. 3 anklicken! 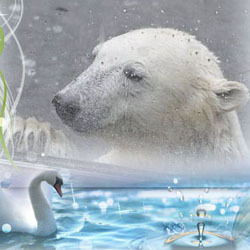 Thank you for the wonderful videos and the information from the zoo Planckendael. I hope to meet Sydney in Dresden. 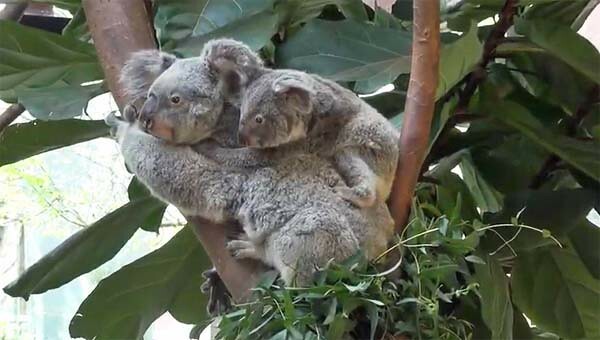 The koalas are all very cute. The gorilla family looks happy. Thandie is a pretty girl. Eine wunderschöne Überraschung mit so niedlichen Koalas und als Krönung, das Gorillababy. Vielen Dank, an Cecile und Jos das wir das sehen dürfen. vielen Dank für die wunderschönen Fotos von den kuscheligen Koalabärchen. Die Videos schaue ich mir später an. Das kleine Gorillamädchen ist sehr niedlich. Vielleicht haben wir ja auch bald Nachwuchs bei den Gorillas. Sango, der neue Mann gibt jedenfalls alles. Log in | 53 queries. 0.860 seconds.